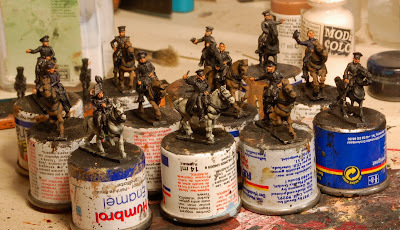 Painting mounted figures is more time consuming than I recalled. But at least their uniforms are really simple. These figures are a mix of AB and Fantassin generals, with one Chariot ADC thrown in.